For the pinnacle of easy setup and dependable bridges, our standard portable units are an ideal solution. With a variety of spans ranging from 20'-90' and engineered for easy assembly, our bridges get our customers moving quickly. Our bridges are also winchable and skidable for easy implementation and extra durability. 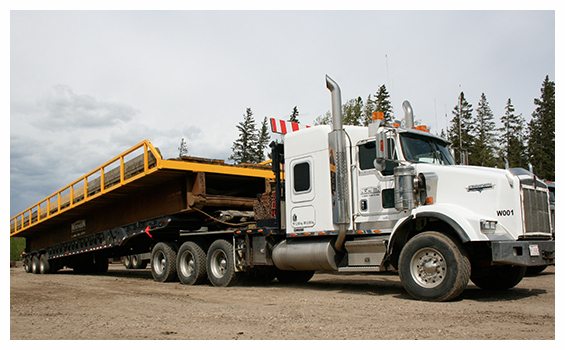 Our Portable Bridges are engineered to withstand heavy loads and constant traffic. With a heavy duty timber deck supported by a rigid steel super structure, these bridges are meant to last and require low maintenance. Even the steel we use is resistant to rust and painted in highly visible safety yellow. All of our Standard Portable Bridges are single piece units. This allows for even easier transportation, on site assembly and removal. Whether our customers setup the bridges themselves or use our services, the job gets done fast.